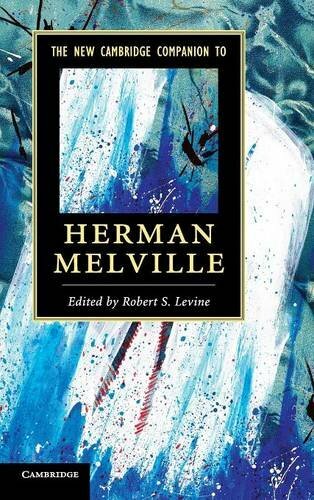 The New Cambridge Companion to Herman Melville provides timely, critical essays on Melville's classic works. The essays have been specially commissioned for this volume and provide a complete overview of Melville's career. Melville's major novels are discussed, along with a range of his short fiction and poetry, including neglected works ripe for rediscovery. The volume includes essays on such new topics as Melville and oceanic studies, Melville and animal studies, and Melville and the planetary, along with a number of essays that focus on form and aesthetics. Written at a level both challenging and accessible, this New Companion brings together a team of leading international scholars to offer students of American literature the most comprehensive introduction available to Melville's art. This New Companion offers fifteen short, lively essays on a range of topics in Melville studies, including a number of new topics in American literary studies - animal studies, planetary studies, law and literature, oceanic studies - and reconsiderations of classic topics such as form and aesthetics.